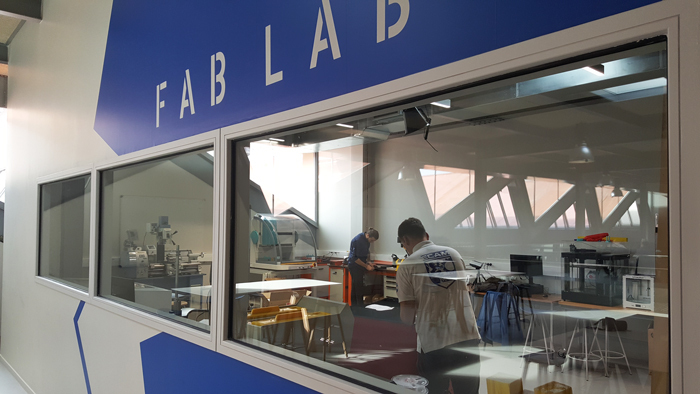 In autumn 2018, a FabLab opened in the heart of the ECAM Lyon campus. This new space is the first part of a 4.0 platform that is scheduled to be set up in 2019. 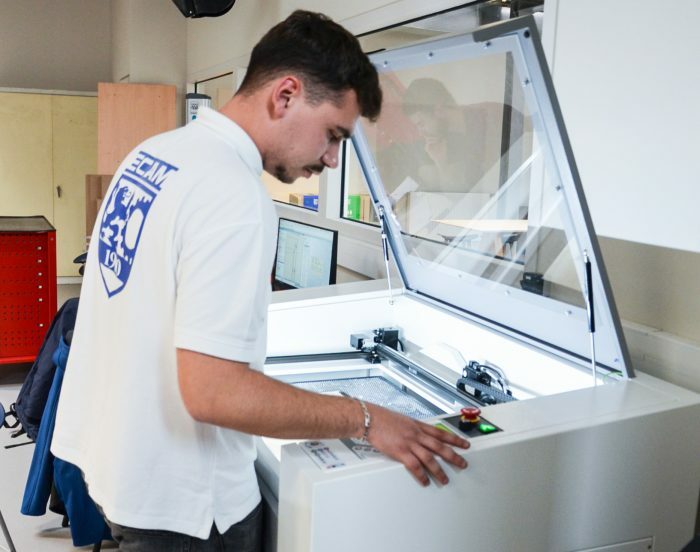 A true teaching tool, the FabLab namely aims to enhance the inventiveness of ECAM Lyon’s engineering students. It is an ideal space for collaborative work, open to all students and faculty for projects in various programs. 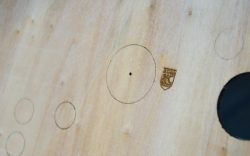 Making mistakes is not prohibited: the FabLab is above all synonymous with testing and learning, trial and error. 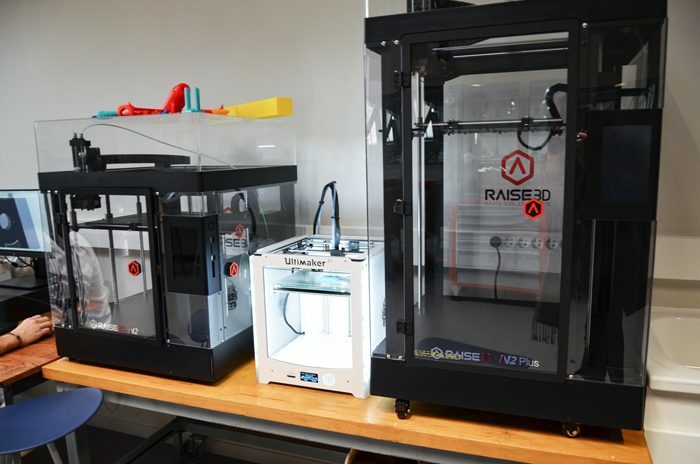 The FabLab is also an open space: it can be made available to TECH 360 startups for prototyping (mock-ups, pre-prototypes and prototypes) or companies involved in R&D projects with the School. The FabLab is a complete program enables students to go “from idea to action”. 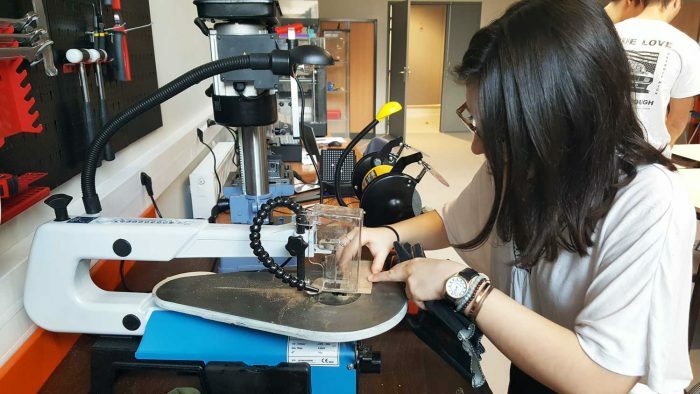 Students move from the design phase (understanding digital manufacturing methods using CAD software) to concrete production of objects, whether components or full systems. We start with a yogurt tub, which is our raw material. It is transformed into filament that can be used in a 3D printer to build an object. This is the main equipment made available at the FabLab. Students are given training to learn to understand handle and maintain this highly technical machinery. The FabLab helps to break down the barriers between various disciplines, from design using CAD technology to manufacturing. Its use in courses adds a new dimension to the class lab work modules and other projects, and is based on an action learning approach. Indeed, it is by practicing, testing, handling and sometimes failing that we can learn and make progress.